For nearly eight decades, American Airlines Cargo has been pushing the envelope of what’s possible, constantly remaining on the cutting edge of cargo technology, and developing an ever-expanding network that spans the globe. With service to major cities in the U.S., Europe, Canada, Mexico, the Caribbean, Latin America and Asia, American Airlines Cargo is your true global shipping solution. In a single day, American conducts 6,700 flights across over 50 countries and territories at 339 different airports, easily connecting customers between Latin America and Asia with only one connection, differentiating itself from other U.S. carriers in the process. Over the last year, American began deploying a new, young fleet of widebody aircraft, allowing for increased cargo space and increased capability to serve you. Investments in new, better operational equipment allow for greater reliability and speed of service, while improved infrastructure across our global network means maximum efficiency and minimum wait times. Sending a sensitive pharmaceutical shipment that needs to arrive in the same condition as when it left? We’ve got you covered. Our ExpediteTC active solution uses advanced, temperature-controlled containers for active regulation. We protect your pre-packaged shipments that require additional temperature control during transport and maintain a controlled environment with expert handling along the cold chain. When your animal needs to fly from A to B, there is no better shipping option than American Airlines Cargo. With more than 50 years of experience, you can be sure that your pets will fly safe with us. We will ensure the highest level of safety and comfort—with temperature controls based on up-to-the-hour forecasts from weather.com. 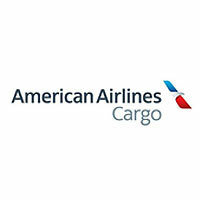 American’s Cargo division also specializes in the sensitive handling of precious cargo through our ExpediteFS service. From artwork, to jewelry, to deeds, bonds and stock certificates—and everything in between—your valuable possessions are in good hands with us. Our customer experience is unrivaled, with a CEX team devoted to efficiency with a streamlined approach. From booking to pick-up, your experience is chief among our priorities, with enhanced, real-time, online tracking at every step of the shipping process. Regardless of your shipping needs, American Airlines Cargo is your global solution.